Looking for a great Fall arts and crafts festival to enjoy with the whole family? 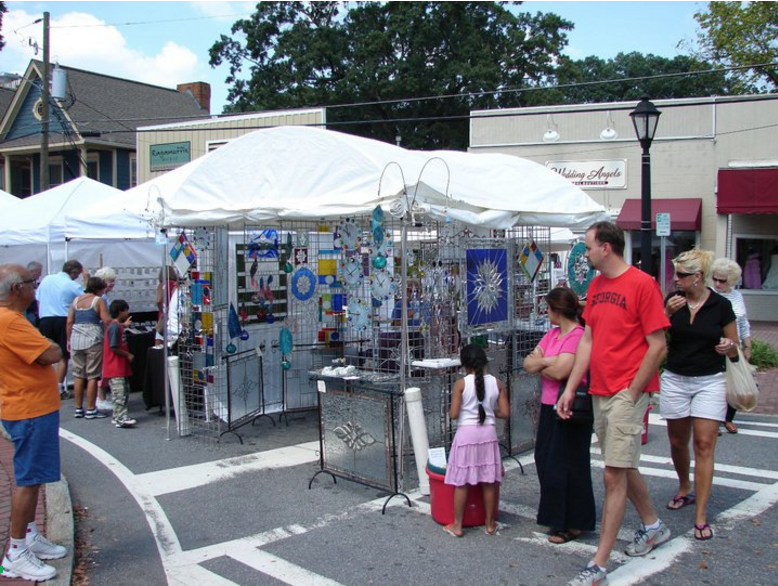 Look no farther than the Roswell Arts Festival! This family-friendly event is one of the top events in Roswell, Georgia, with no shortage of artists, local entertainment, festival food, and activities for children. The annual Roswell Arts Festival is held each Fall at the Historic Town Square and features local singers and dance companies. The event offers plenty of entertainment for kids, too. From children’s paintings and sand art, to balloon animals, this festival is great for the whole family. What makes this event even better is that you’ll be supporting a great cause! Proceeds from the festival go to fund projects by the Roswell Parks Association. Some past projects that festival funds helped make happen include the Serenity Garden and outdoor fitness equipment at Roswell Area Park, playground equipment at Chattahoochee River Park, and an adaptive field at Waller Park Extension.